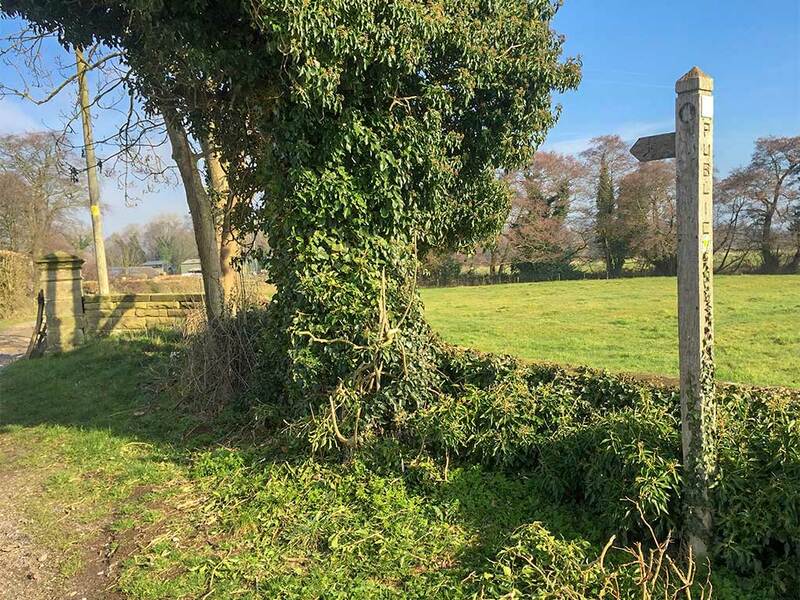 There are several walks to enjoy when staying at dove farm, and you can literally start from the farm gate. We always suggest to our guests, to have a stroll down to the river Dove, and then walk along our little section of riverbank. This farm walk is a private walk, exclusively for guests of dove farm and dove farm fly fishing. You will find maps in your cottage for this relaxing and very pleasant walk. Perfect for clearing the head on a Sunday morning! For families with young children, who want a level surface to scoot around on, or maybe you have a buggy or wheelchair to consider – then why not do a circuit (or two!) 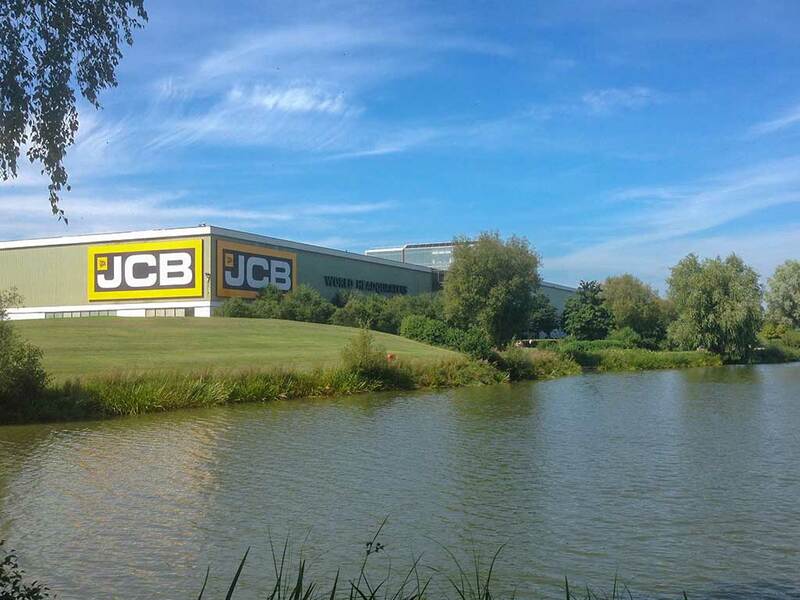 of the lake at JCB? It’s about 2 miles to go round and is a very popular leisurely route. Park at the village hall car park in Rocester ST14 5JU – only 2 miles from dove farm. (play park adjacent and Spar shop across the road) and turn right as you leave the car park via the main entrance. After a couple hundred yards, walk over the pedestrian bridge and through the tunnel. This brings you directly to the circular path that goes all around the lake. 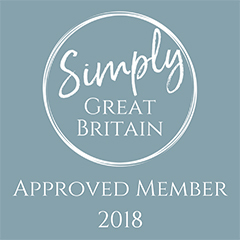 Alternatively, you can drive to Denstone Hall Farm Shop and café – and start from that side, finishing with a well-earned treat when you get back. Or you can park at The Ramblers Retreat ST10 4BU – a country tea room in Dimmingsdale and follow their suggested walks from there. Sometimes too popular on a Sunday? 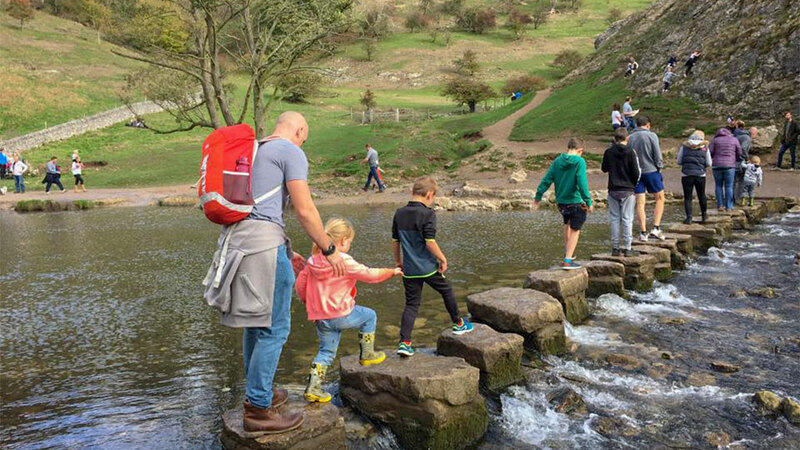 The all-time classic day out around these parts is a visit to Dovedale, and its famous stepping stones. 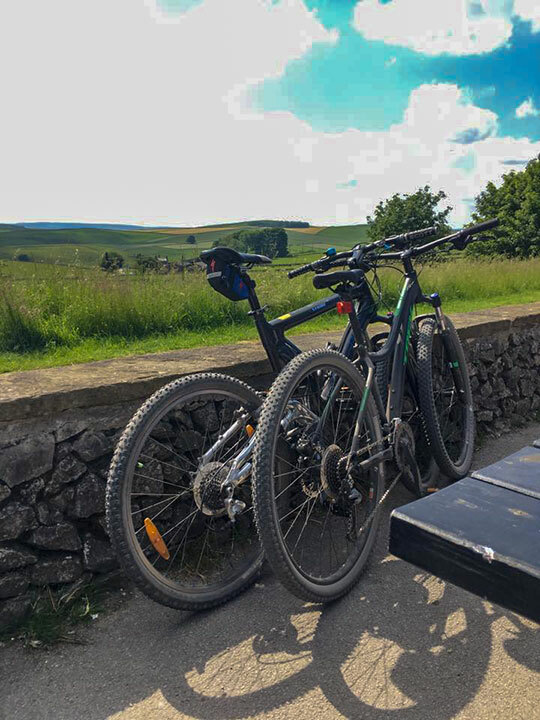 This 1.5 mile walk starts at 11am Country Park, where there is a car park, tea shop and toilets and takes you to the Dovedale stepping stones. Options to continue your walk further, if you wish. Carsington Water – choice of leisurely nature trails or challenging walk around the Reservoir. Play area, café and visitor centre. For more walks, near and further afield into the Peak District, take a look at these routes and maps, all carefully put together by an experienced walker who talks you through their favourite tracks and trails. 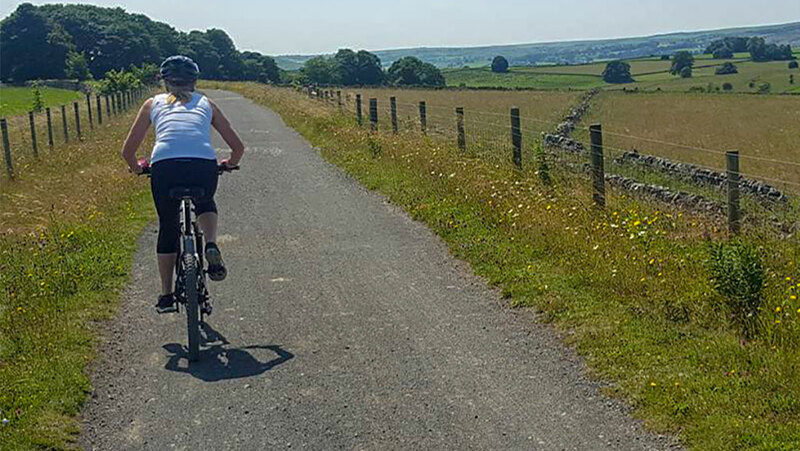 Classic cycling trails, near to Ashbourne, offering safe and scenic walking and cycling for all – are Tissington, Manifold, and Carsington. 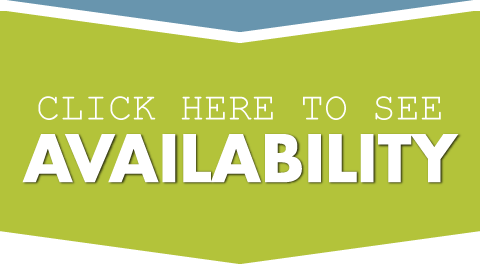 All of these offer cycle hire – though phone ahead if you are wanting something specific – as you may end up with a bicycle that you are not entirely happy with. 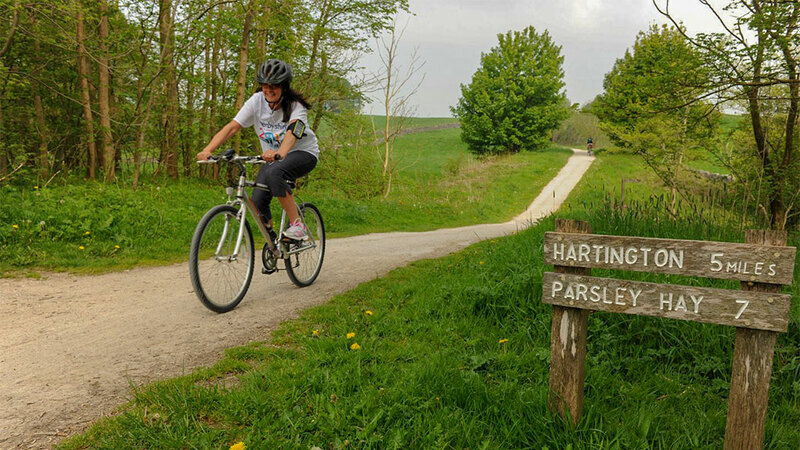 Brown End Farm cycle hire for the Manifold Way, offers a friendly, helpful service.